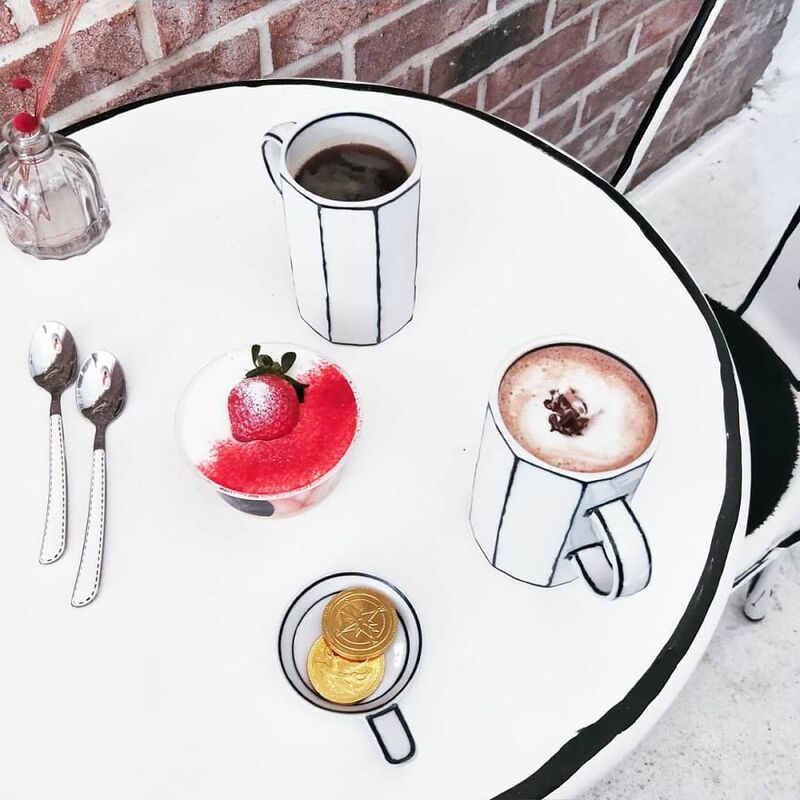 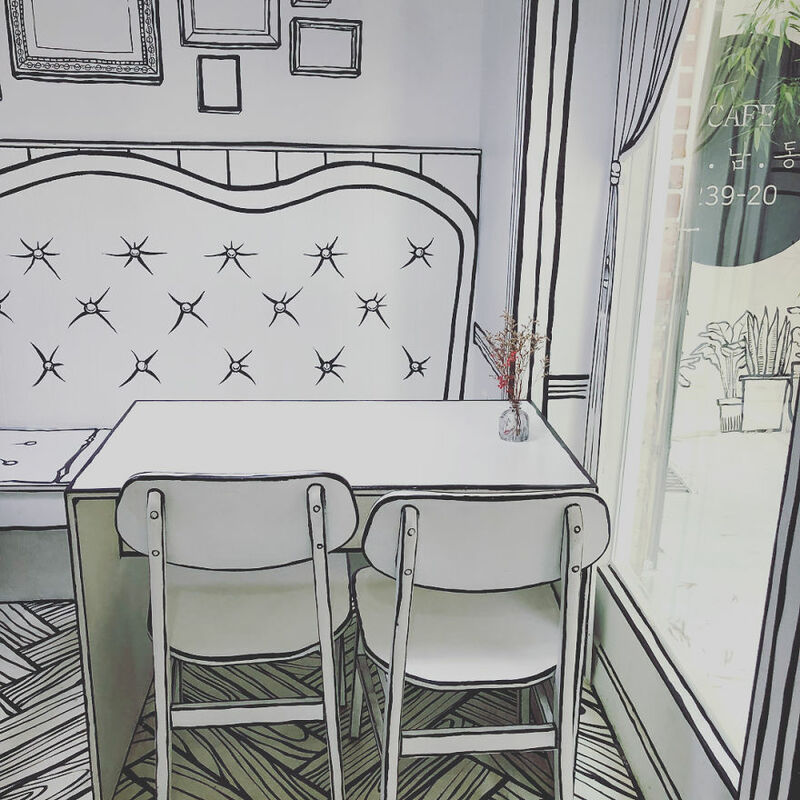 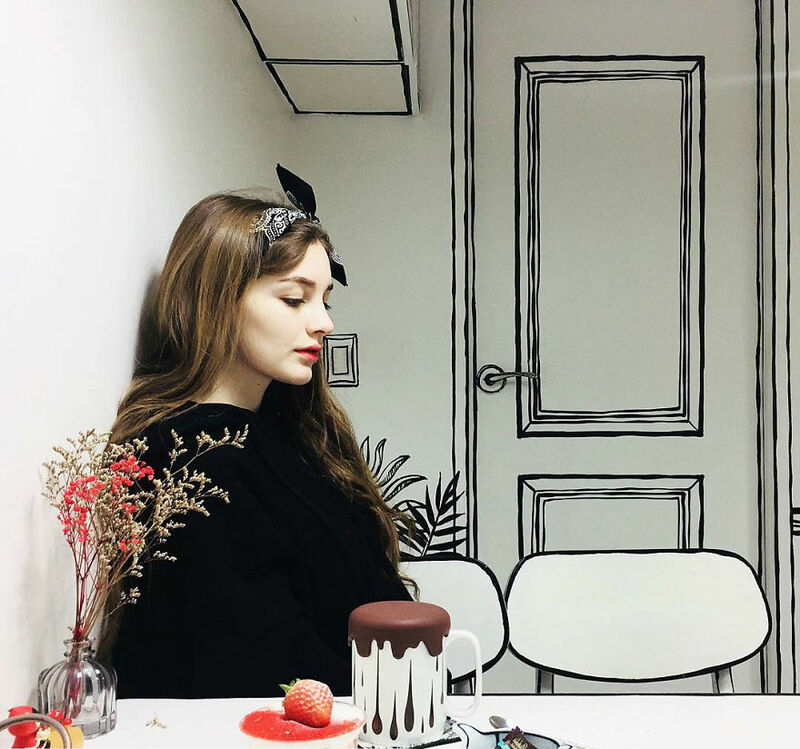 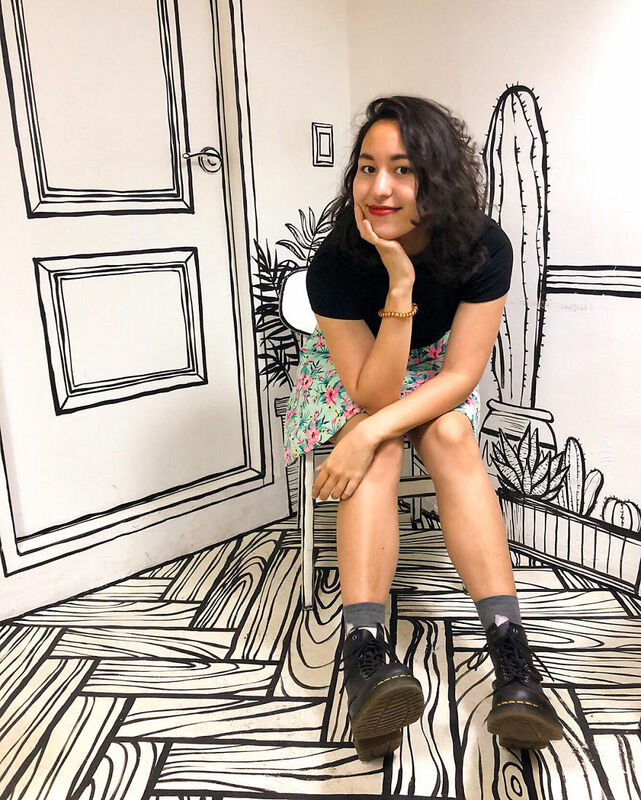 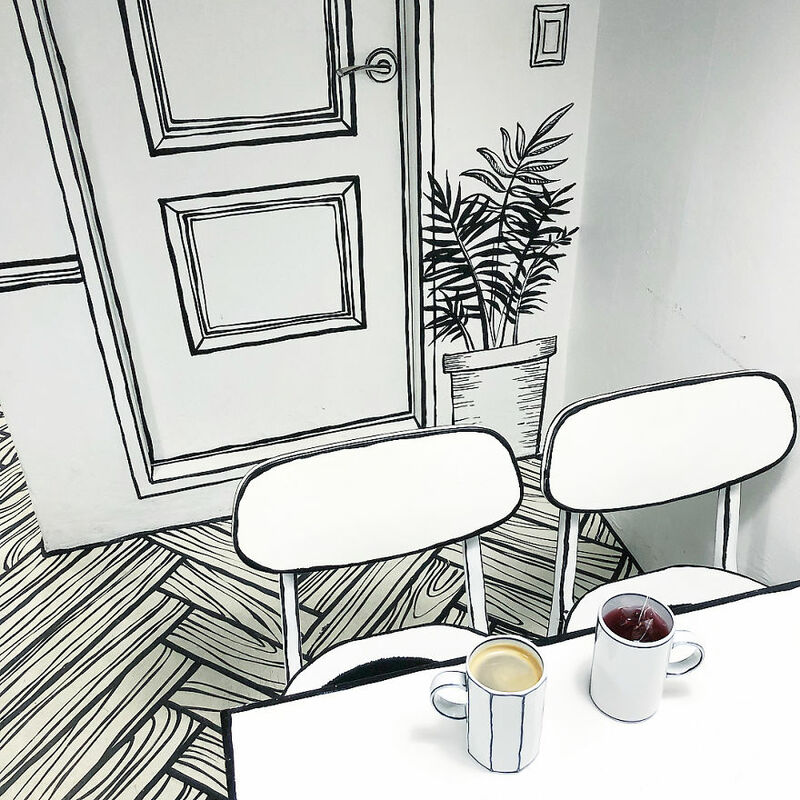 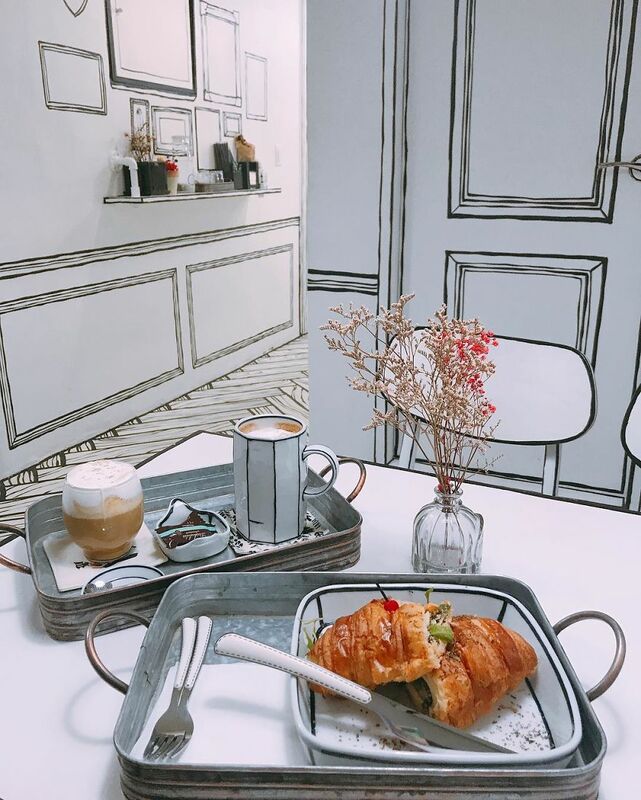 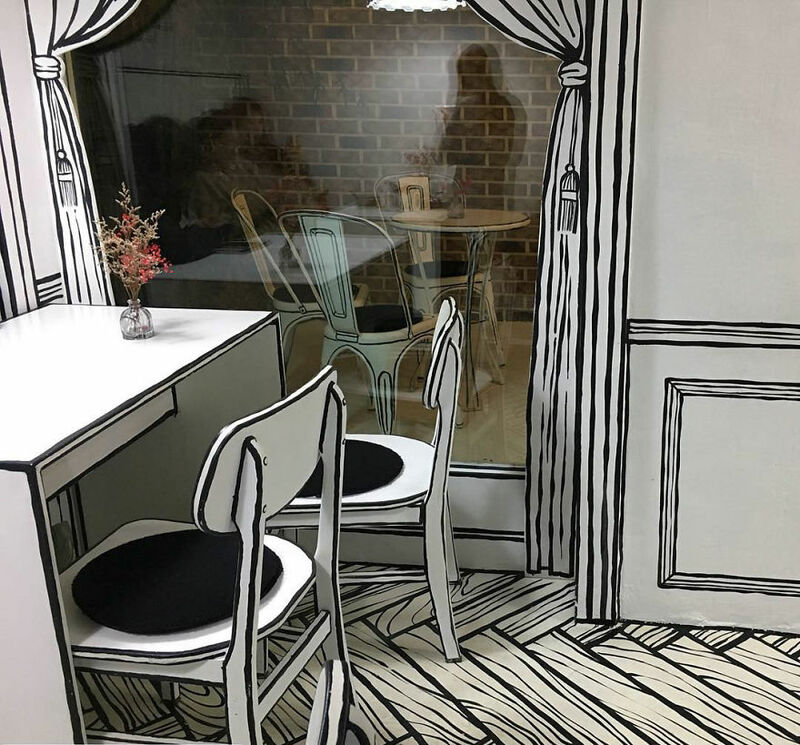 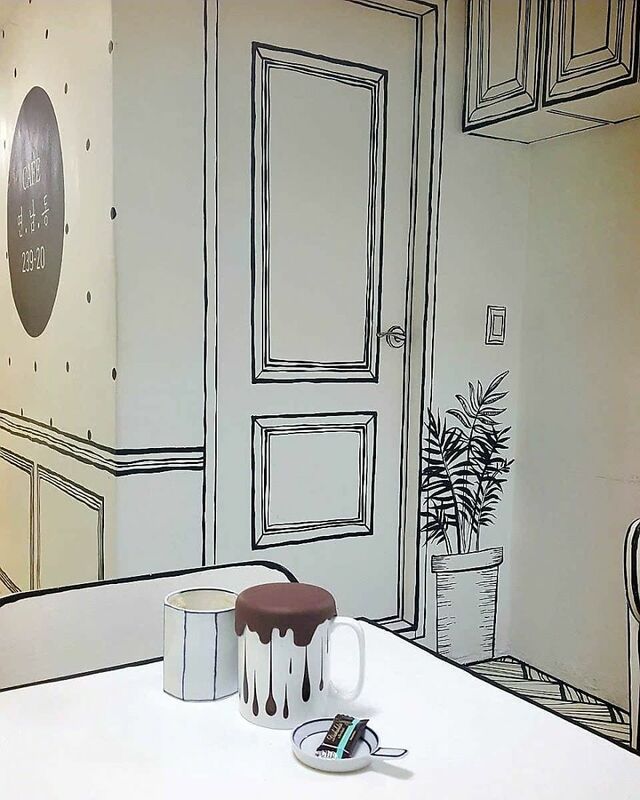 You might have come across comic-themed cafes and restaurants but have you ever been to a cafe that makes you feel like you’ve actually walked into a comic world? 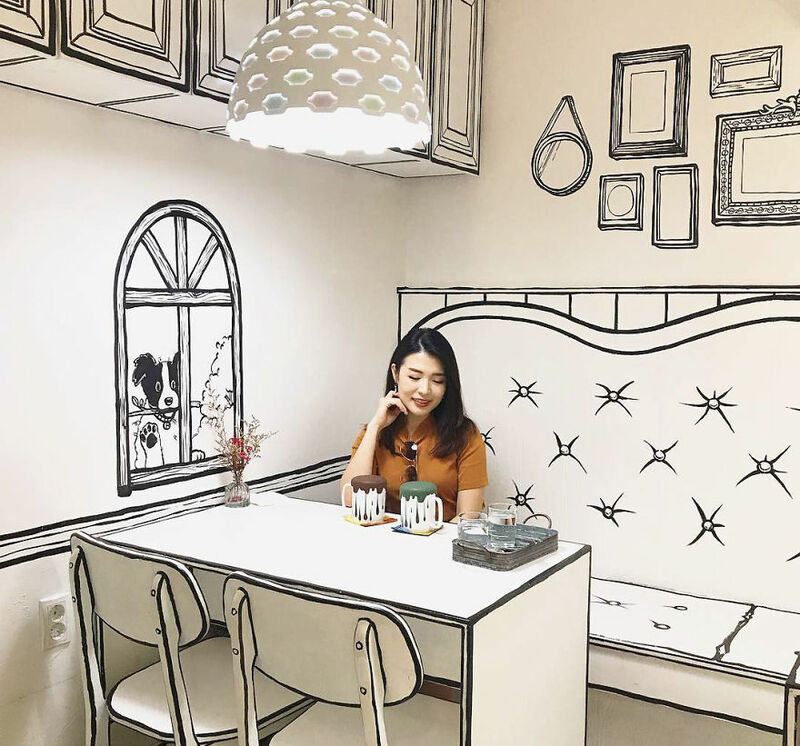 Located in the popular Yeonman-dong district in Seoul, Cafe Yeonnam-dong 239-20 is a place that is (literally) straight out of a comic book. 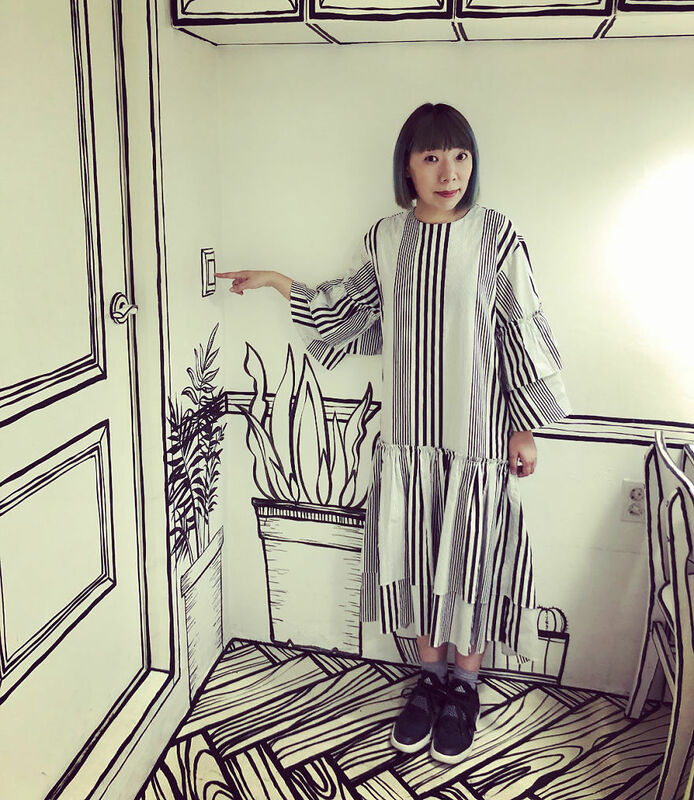 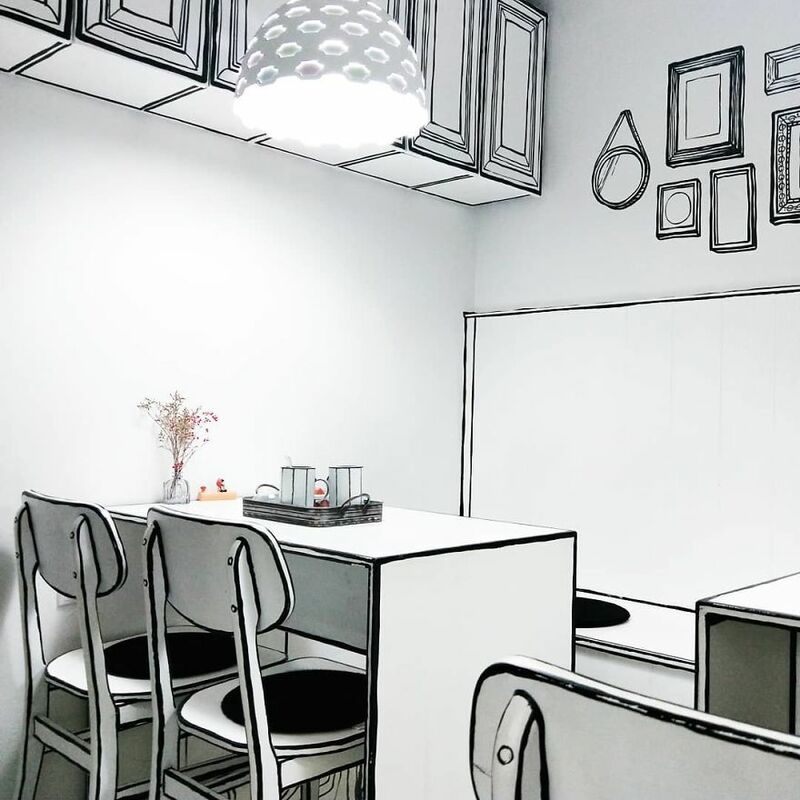 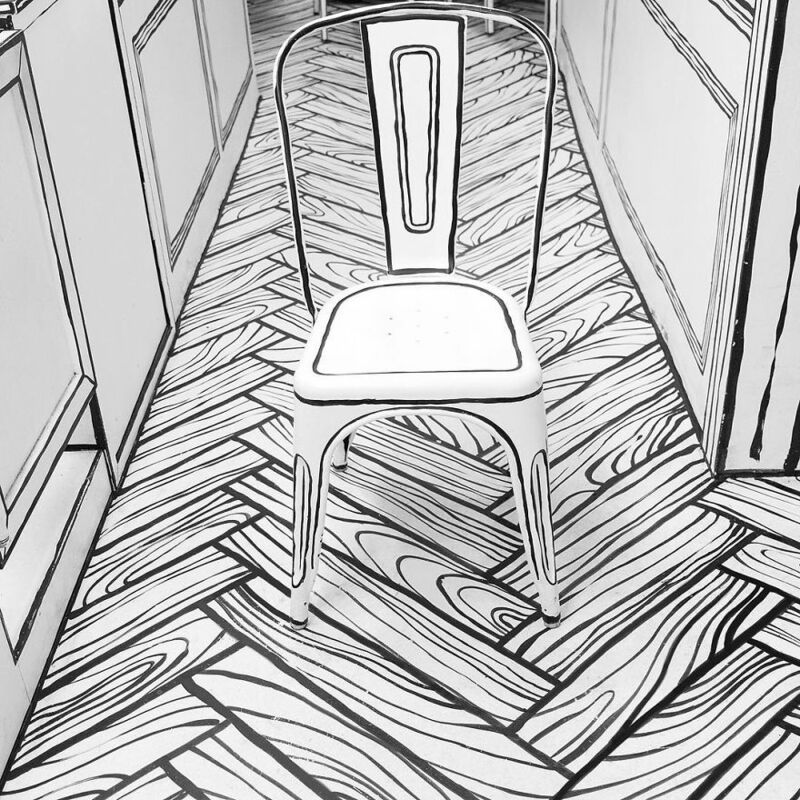 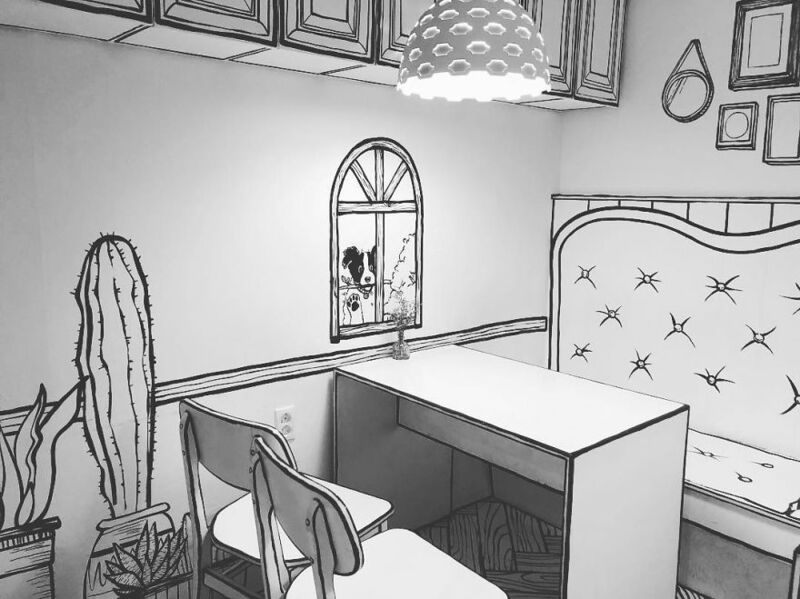 From walls and furniture to dishes and cutlery, every item has been painted in shades of white and outlined with black brush strokes to make it look like an object in a monochrome cartoon. 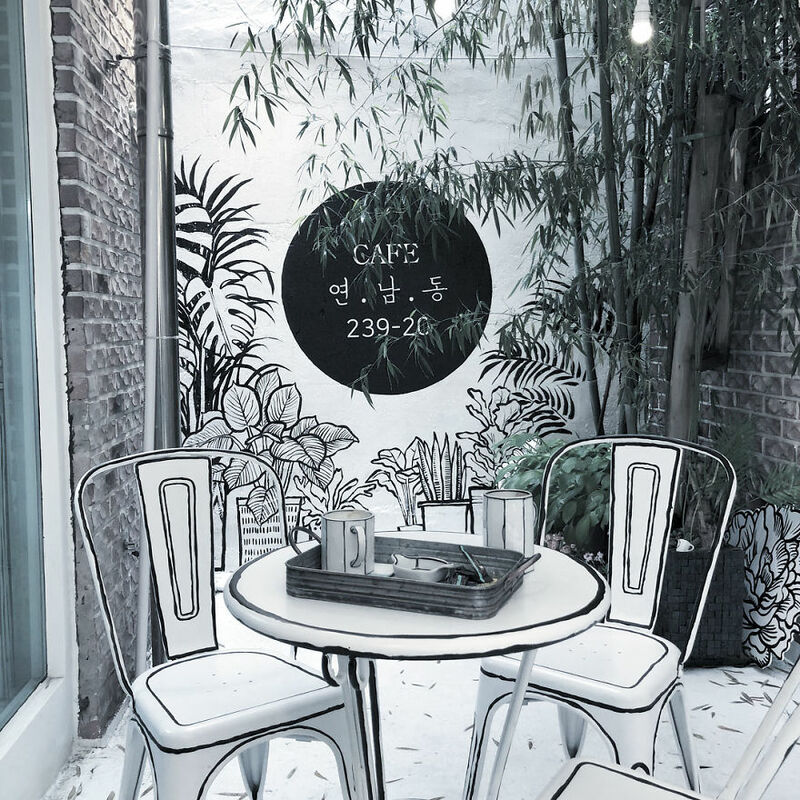 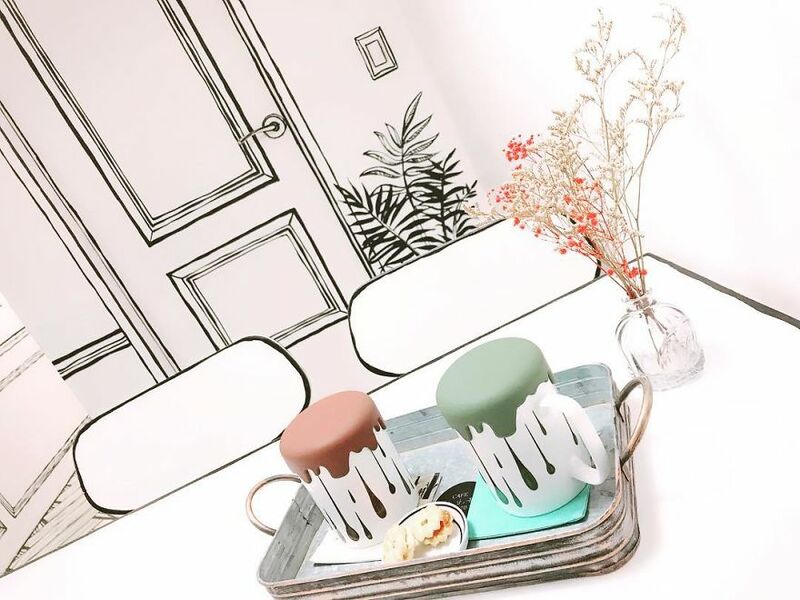 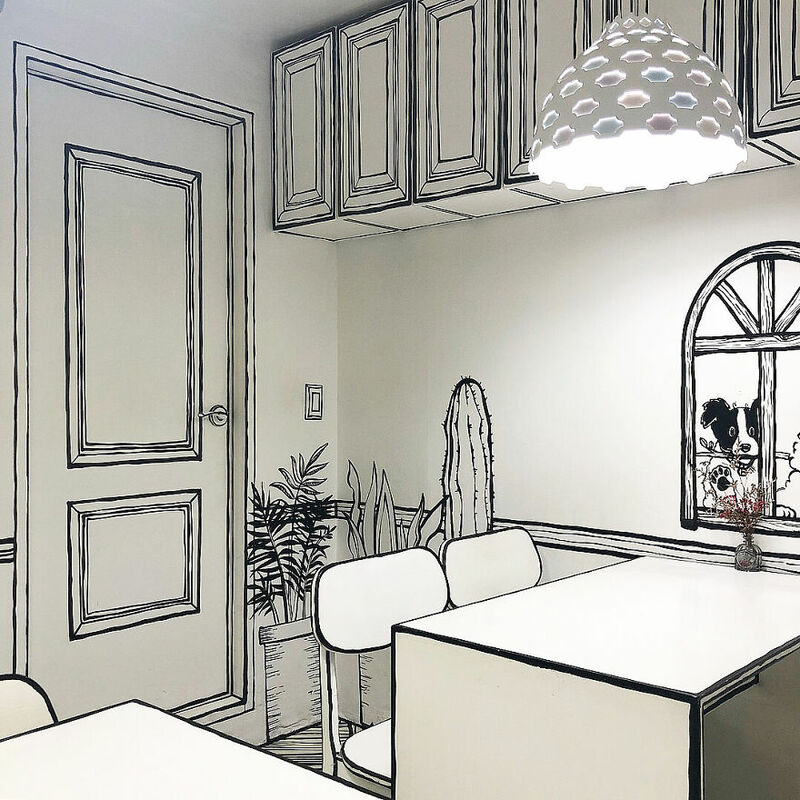 The cafe was inspired by the Korean TV hit “W – Two Worlds” by Lee Jong-suk and Han Hyo-joo, in which the characters enter a fantasy webtoon world. 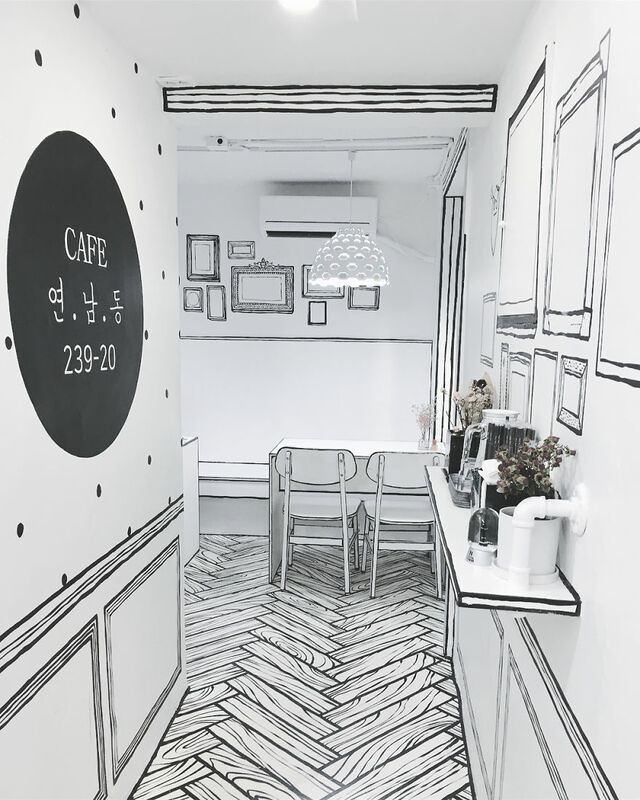 The name ‘Cafe Yeonnam-dong 239-20’ is actually the cafe’s address. 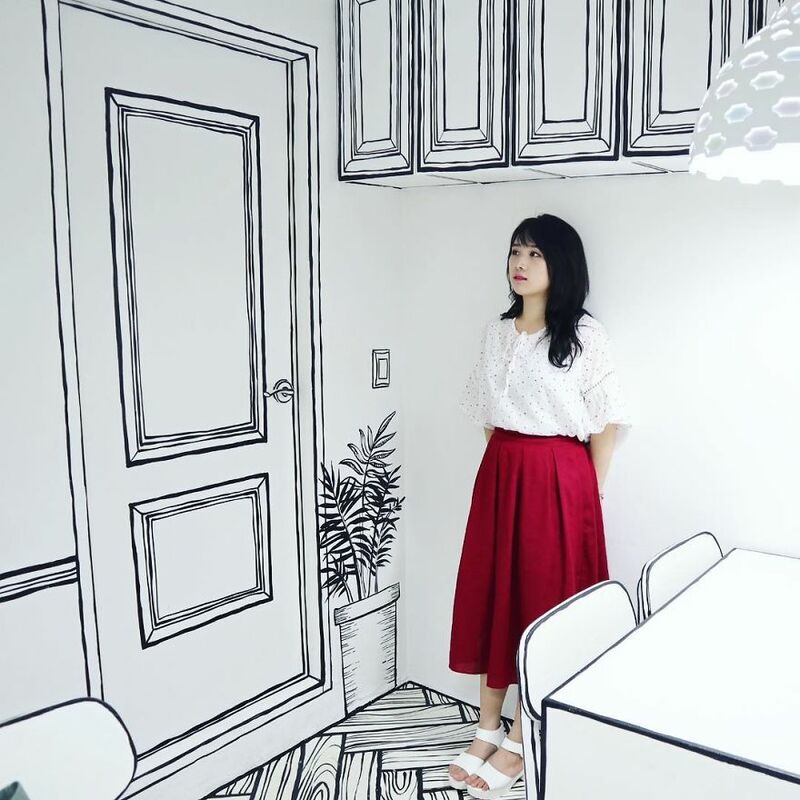 If you’re into comics, illustrations, or quirky interiors, this place is a must visit the next time you’re in Seoul. 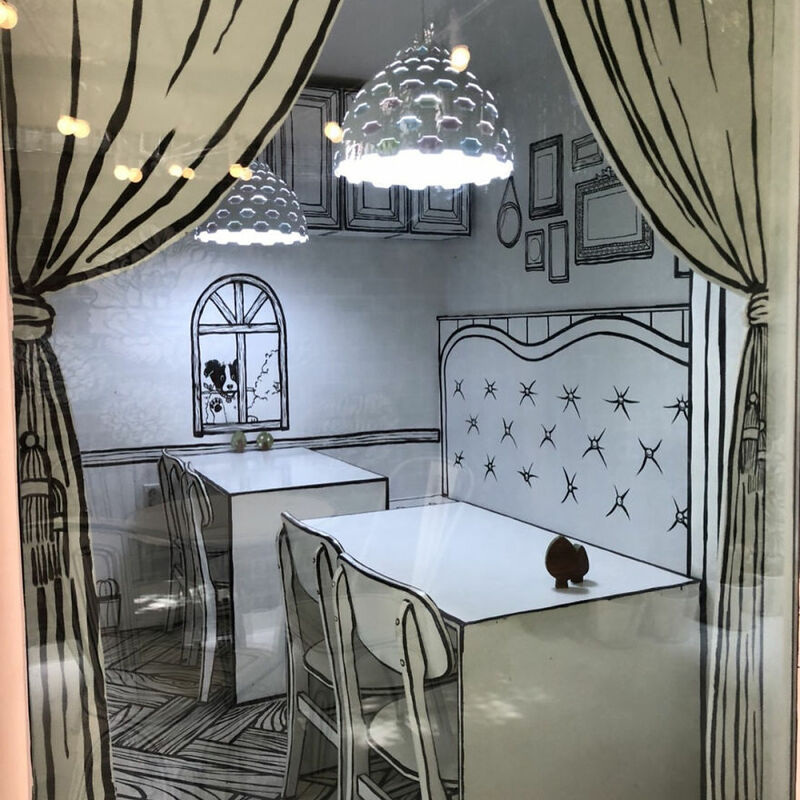 Check out the pics below. 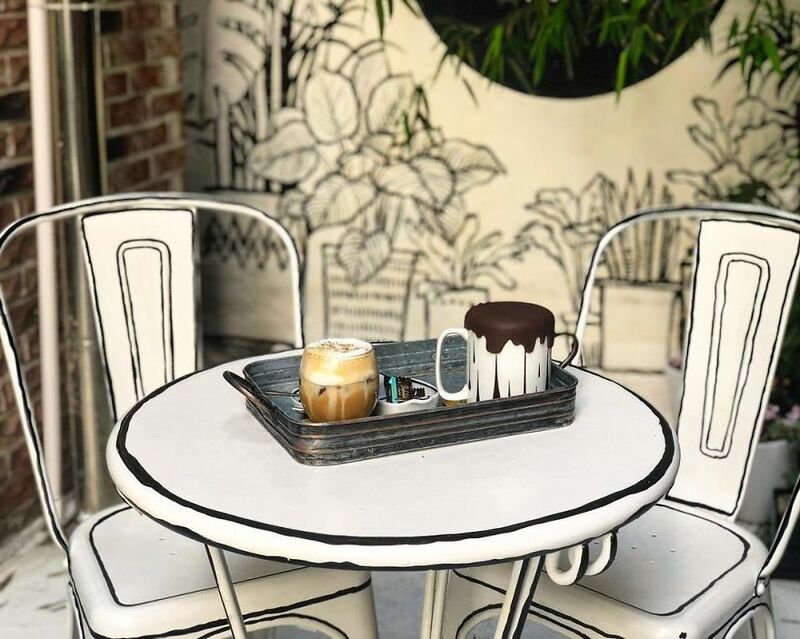 Share this post with a friend who would love this and voice your views in the comments below. 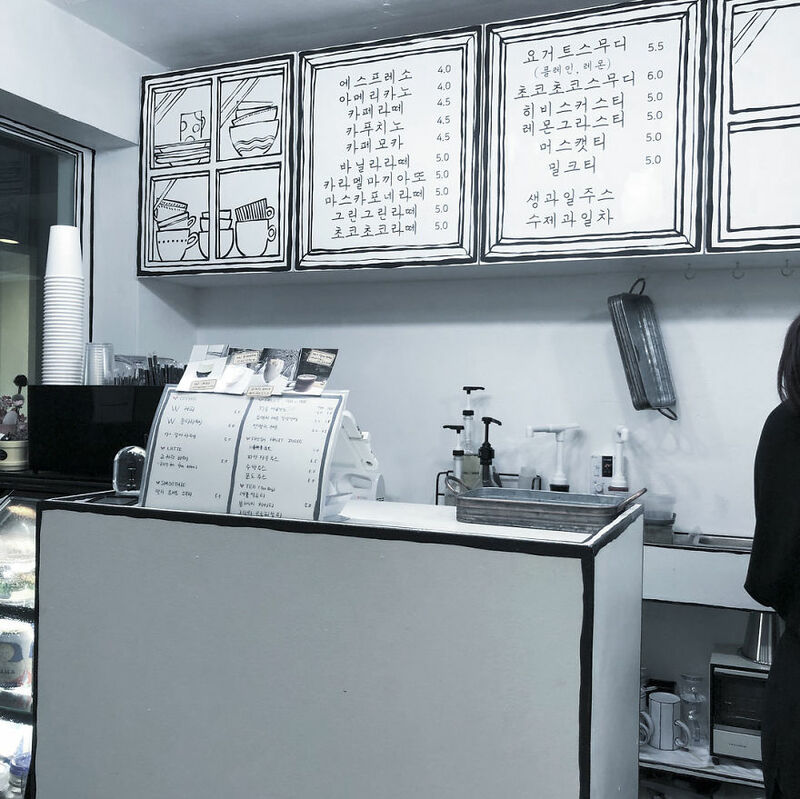 All images © Cafe Yeonnam-dong 239-20.